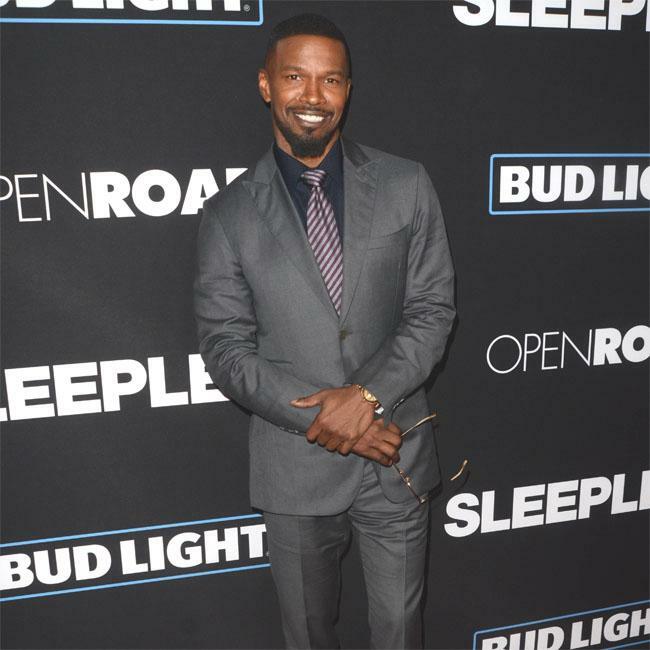 Jamie Foxx used to "stalk" celebrities when he was struggling to make it as a comedian. The ‘Django Unchained’ star has confessed that he used to stand outside The Roxbury club in Los Angeles, desperately trying to get their attention as they left the club. He said: "I would stand on the other side of Roxbury … because they wouldn’t let me [stand where the club was] … and everybody that would walk out I would yell at. I know he doesn’t remember this, but Wesley Snipes. I would stalk Wesley Snipes. I was the dude on the other side of the street when they would walk out; I would be like, ‘Wesley Snipes, I see you Wesley Snipes’. Every week I was there and one day Denzel Washington walked out of that joint and I breached security … I went to hug him and he did some kind of Denzel move like, ‘Hold on.’ He got me right in the neck and I was like, ‘I’m just trying to give you your props, I love you D.’ I was one of those fans that would be like, ‘I’m going to be there one day, dog.’"
And things couldn’t be more different for Jamie now. Speaking on Live with Kelly and Ryan, he added: "Now Denzel and Wesley have both come to my house. I had Denzel show up and I invited all the young artists to come by and sort of talk. I had a mariachi band … It was great to have Denzel there."